Apart from creating a wonderful and attractive website, small enterprises and firms can firms can make use of newsletter to improve their online presence. Newsletter Writing is a great marketing tool for all the organisations and start-ups and if used right it can be of a very huge advantage. With this tool the owners and the company can directly provide the info and various features and offers about their products and services directly to their customers without much expenditure and hassle. Some of the top tips for writing stunning newsletter for better conversion include the following. These elements are useful for content writing services also. Headers for the newsletter must be short, informative and attractive. They must be preferably written in big bold letters so that they immediately catch everybody’s attention. When providing the content for the newsletter always begins the content with high detailed information. Starting a newsletter with a clearly outlined description will help the user to quickly grab the information they need and also it is the first few sentences that a user will read before they decide whether the content is worthwhile for them to read or not. When writing the body and the description for the newsletter you do not have to always use formal and follow the strict official code for conveying the message to the prospective buyers. You can make use of creative word plays and use casual language as they are more attractive and the buyer will immediately get attracted to the funky representation of the content. But always write them without losing the focus of the actual reason for newsletter writing services also. At this age of social media, television and high speed internet, the attention span and the patience of the people all over the world are decreasing at an alarming rate. The readers are always in a hurry and they only read those contents that give them what they need instantly. So if your newsletter writing contains long and very detailed content it is going to be a sure flop no matter how informative it is. Make them short and interesting so as to optimize them for the internet readers. Internet is a place where the information is being piled up and it this information is almost tripling each day. So in order to stay and compete in such environment your content must be clear, short and free of all the junk. Using complex and highly complicated English words might impress your boss or a job interviewer but in the internet when someone does not easily follow the first four lines of your content they immediately switch to the next one without hesitation. Take time for research and write the contents for newsletter properly. Get the facts right and make them engaging; by adding humorous word plays and one liner so that the readers will not drift away half way through the content. 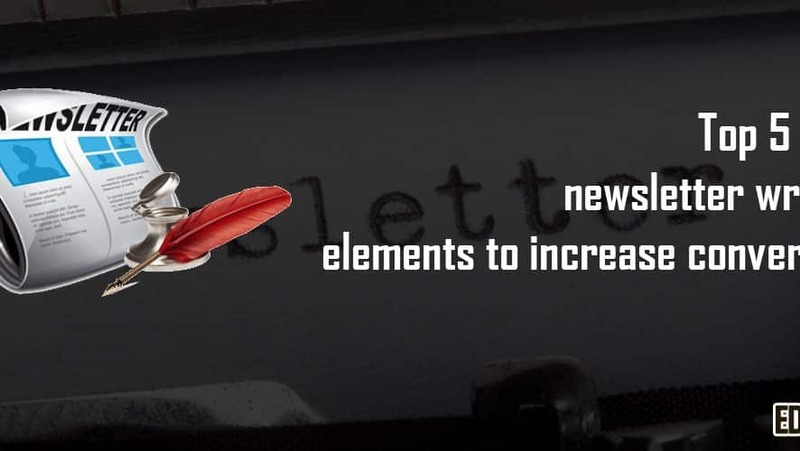 If you follow the above mentioned tips and tricks, then you will have no problem in creating a great newsletter writing for stating your online presence and make many advantages out of it. You can find article content writing tips also.